So after two weeks, I finally made it back to the Chicago Botanic Gardens last Thursday. 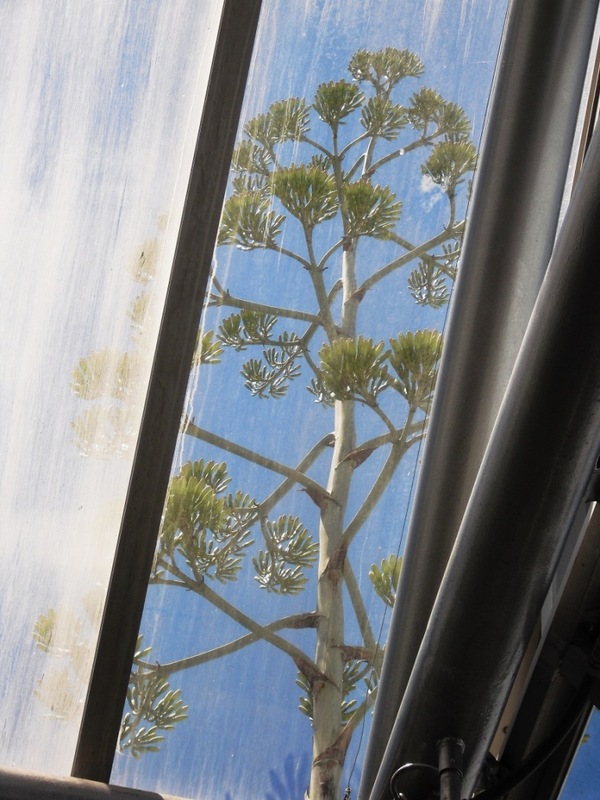 And the Agave americana flower stalk is still sticking up through the roof (no storm damage) and still not in full bloom. I'm not sure when I will be making a my next trip to the Gardens, so there is a possibility that I might miss the fully open flowers. 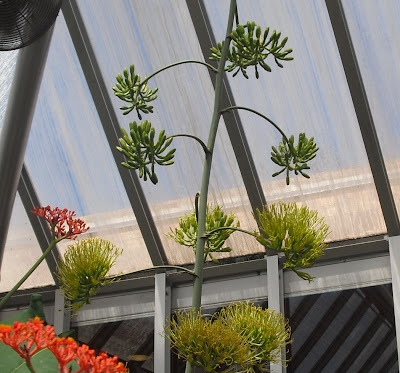 So, I thought I'd share some pictures of another blooming Agave species in the greenhouse, with open flowers on the lower part of its stalk. 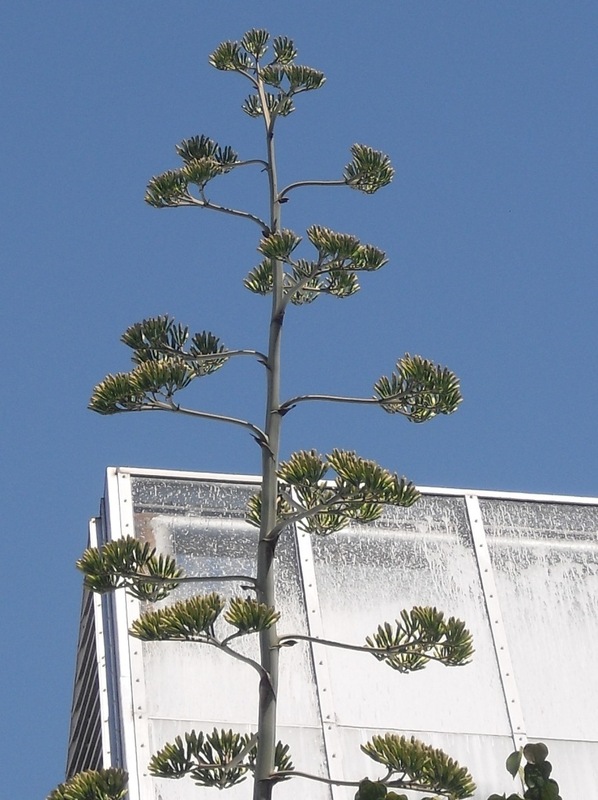 Agave macrocantha plant and flower stalk, well contained inside the greenhouse. The CBG has quite a few Agaves; if they had to cut open the roof every time one bloomed, they'd be in big trouble. If I do get back to the Gardens in time, I will certainly share updated images. That is a cool time lapse video!!! How awesome, I do hope you get back to take more pics. And that video was so cool, can't wait to see the whole thing in bloom! Hey, how come I'm not on your blog list! Hee hee! I've just discovered your blog and I find it very interesting. I'll come back, definitely! Candy: Ask and you shall receive. Nice blog; I love your header picture. 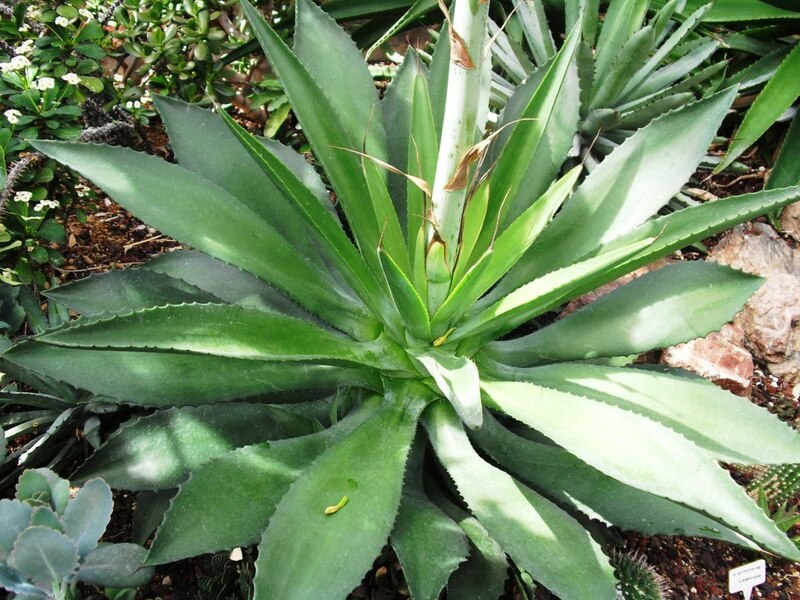 Julie: I never would have thought to check the CBG website for news about the Agave until my husband suggested it. I was thrilled to find the video.